Product information "Die drei ??? 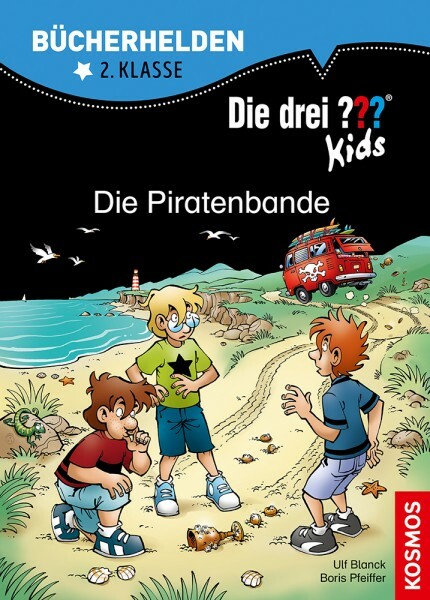 Kids, Bücherhelden, Die Piratenbande"
The Three ??? 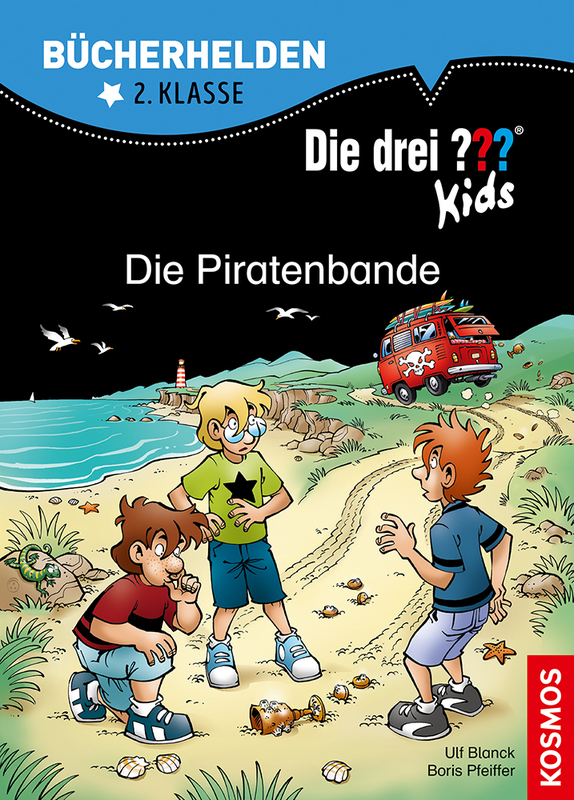 Kids – The Pirate Gang: A fisherman gives the Three ??? Kids a mysterious wooden figure. What is this all about? Justus, Peter and Bob start to investigate right away. But a group of beach pirates is already pursuing them. Ulf Blanck has been involved in the series The Three ??? Kids from the start: since 1999 he has been creating new adventures for the series. He also works as executive director of an advertising agency and writes comedy shows for the radio. One case and 1,000 leads - which of them is important, which one misleads? > Kult meets trend: "The three !!!" on the way to the "Lost Places"